Pulses continue to trade steady in the spot markets, Desi urad ruled steady at Rs 3,000-3,400 per quintal on limited demand. Desi moong surged by Rs 50 at Rs 3,500-4,150 per quintal on fresh trade inquiries, while moong mogar priced stable at Rs 5,300-5,400 per quintal. Red chalua posted gain of Rs 50 at Rs 1,850-1,950 per quintal on buying from local traders. Moth was offered higher Rs. 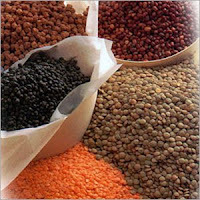 100 at Rs 2,600-3,200 per quintal, while moth dal was offered at steady at Rs 3,800-3,900 per quintal in the local mandis of Jaipur.